Performance problems found in today’s complex multi-channel retail banking environments often have multiple characteristics. It is not uncommon for them to also have more than one point of bottleneck or breakdown. At a recent round-table event organised and hosted by NCR, discussions centred around how the right combination of self-service device management, cash management and end-to-end transaction monitoring, enables IT and channel operations teams to embrace enterprise-wide performance awareness, and take a holistic approach to managing their multi-channel banking environments. When combined together, these solutions reduce silo mentality and make performance information readily accessible to those who need it. This will improve service delivery, greater operational efficiencies and a better leveraging of IT investments across multiple channels, services and operations units. 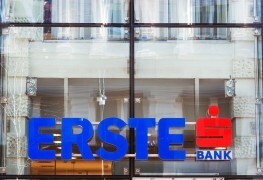 New self-service devices capable of accepting cash deposits and recycling cash are one part of a programme that is enabling Erste Bank to update its channel management capabilities for its branches in Croatia, said Željko Medved, direct channels, card business and mobile payments at Erste. Currently the bank uses 70% NCR ATM devices, with the remainder coming from Wincor-Nixdorf. It is currently looking to install a multivendor management solution after which it will look to further develop the functionality of the network, including the deployment of interactive customer assistance services, which Medved said is intended to improve the stickiness of the bank’s relationship with the cardholder. The bank has also deployed Maestro debit cards featuring a built-in LED display used as a security device for mobile and internet banking so that customers can make payments over those channels. Customers still like cash, however, so the bank has extended its Maestro Plus service, which allows users to make purchases at a point-of-sale and pay by instalments from a linked account, to include cash withdrawals, which can be paid back in up to 12 monthly instalments. In practice, the bank has found that 90% of customers opt to take cash out of the ATM rather than pay directly at the PoS, at least in part because there is a 4.4% charge to use the latter and the merchants also sometimes give discounts for cash. The service has been available for five years and in 2014 €135 million in cash was withdrawn from its ATMs just for this purpose. The bank’s structure hitherto has been divided into two departments – cards and e-channels – but the introduction of the Maestro Display card has brought them together because it covers both sets of products. “That was the first product that we worked on together and in the future, definitely, new products on the ATM will be linked to the mobile and other channels, so we will work together more and more,” said Medved. But Robin Angus, director of marketing, cash management, at NCR, said that other customers had seen interesting spin-offs from the deployment of more sophisticated management tools. The breadth of NCR's work with financial institutions and underbanked populations around the world. Austria’s Erste Bank und Sparkassen can now verify new customers' IDs via video. The functionality has been developed with specialist provider IDnow and introduced just a few weeks following the approval by the country’s Financial Market Authority (FMA). Banks are pioneering advanced technologies in Turkey, giving the country a headstart over many of its European counterparts. In Istanbul, Garanti Bank explained how it pays for its customers to get mobile internet access – and how it is using social media to attract and keep customers.